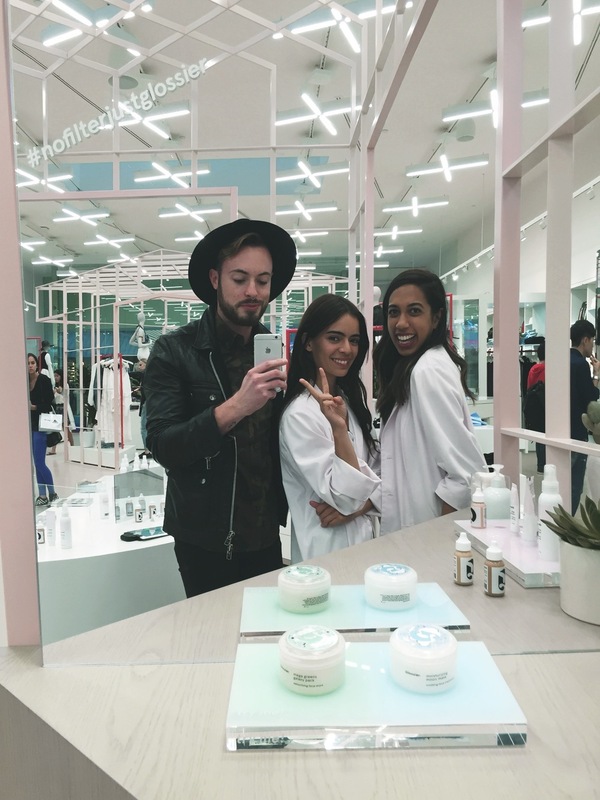 But, as luck would have it, Emily Weiss and the Glossier girls were having a popup shop here in LA at the Santa Monica NastyGal store. Naturally, I had to be there. In short, it was a dream. Great branding + Good Skincare + Chic Females = match made in MOG heaven. Added bonus: their all-pink packaging fits in perfect with this week's theme! I made sure to pick up a few new things to share with you all today. First - their delicious, creamy, Priming Moisturizer. So hydrating, but not at all greasy - it'll easily integrate into any skincare routine you already have. Follow it up with their Perfecting Skin Tint - the PERFECT shear wash of color that just evens out your skintone, without clogging pores. Enriched with diamond powder, it provides the most dreamy, summery glow. Yum.